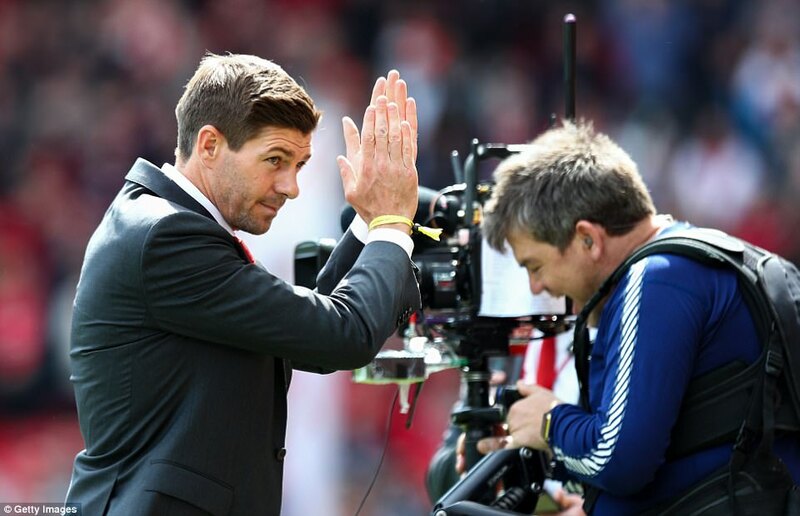 In the end it took just one pure strike of a football to change a game, a season and, who knows, maybe a future. 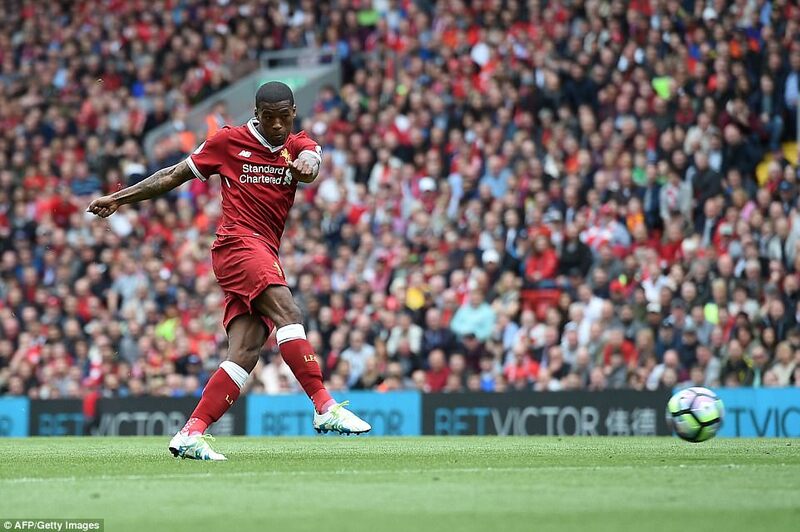 It came from the right foot of Georginio Wijnaldum and it almost took the roof off the net at the Kop End. 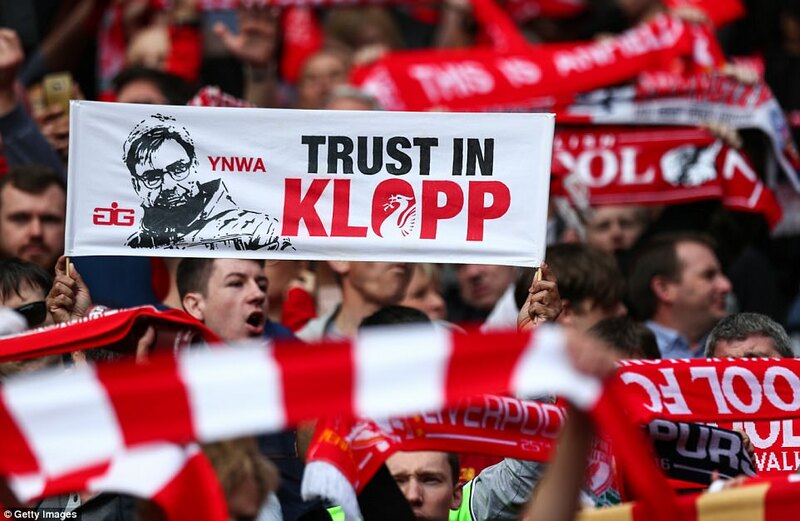 Deep in stoppage time at the end of the first half and this was threatening to turn in to one of those sapping, frustrating and ultimately highly damaging Anfield afternoons that we have seen far too many of in recent weeks. 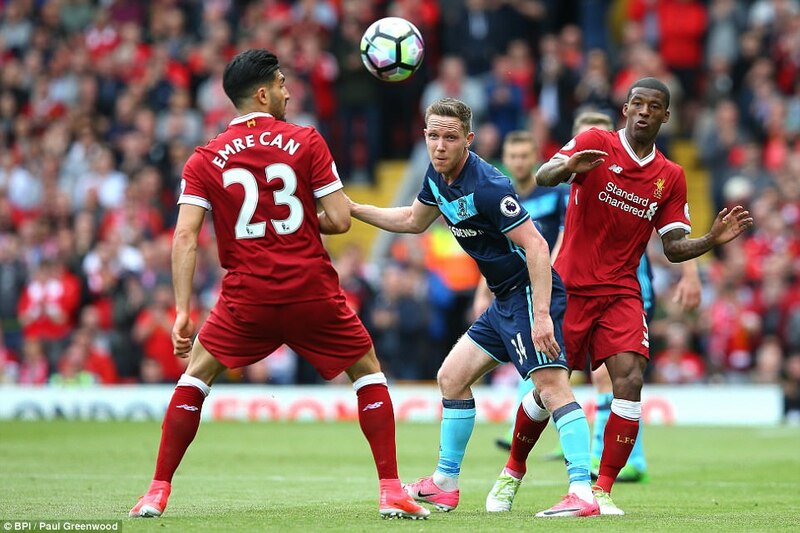 Middlesbrough were camped in their own half, essentially playing six across the back when they didn’t have the ball, and Liverpool could not find a way through. 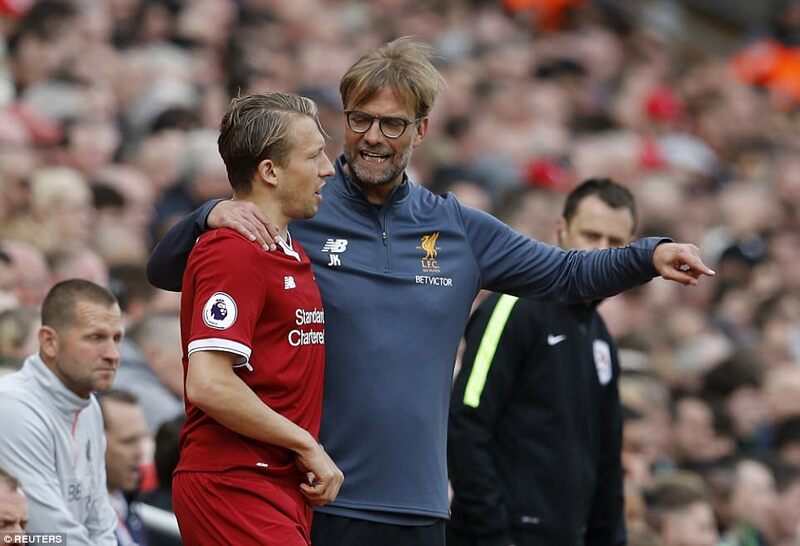 With the ghosts of recent failures here against Southampton and Crystal Palace seemingly lurking round every corner, Jurgen Klopp’s players looked inhibited and anxious. In the stands, they checked their phones grimly. Arsenal winning, Manchester City winning, Liverpool out of the Champions League places. 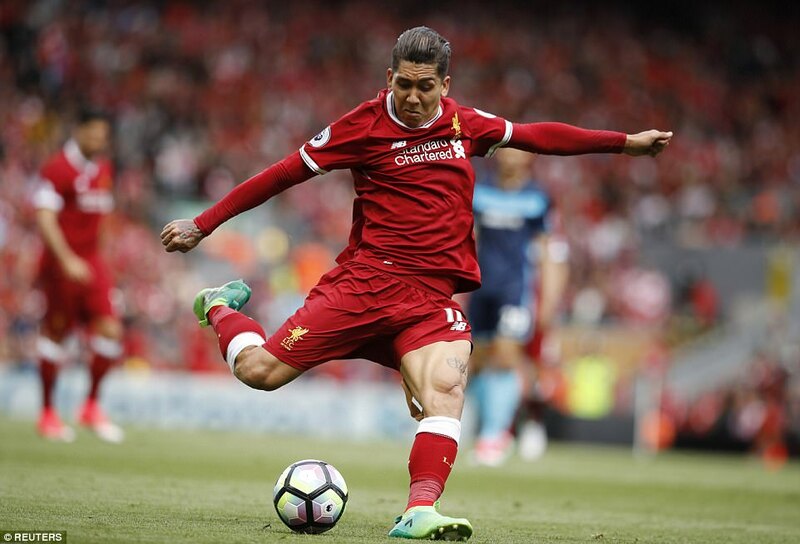 So when Nathaniel Clyne and Roberto Firmino combined with rare fluency down the right hand side, Liverpool supporters will have looked on more in hope than in expectation. Wijnaldum was clear on goal but the angle was tight and the Dutchman had, up until that point, not had a particularly good game. 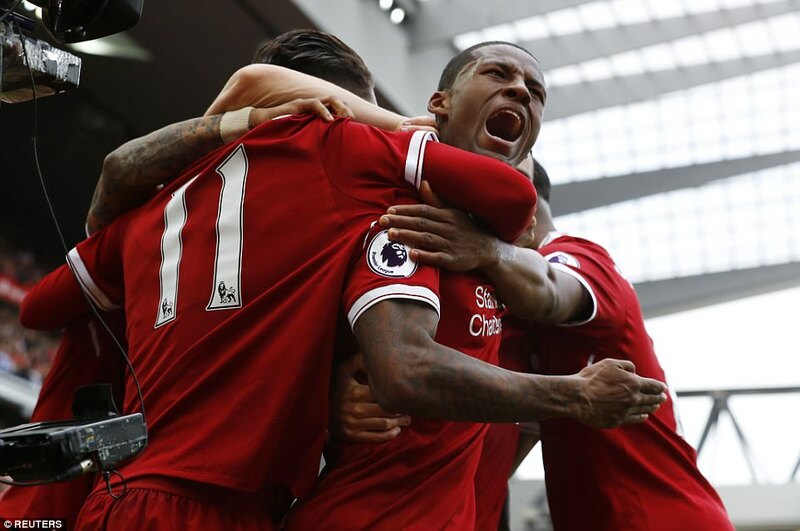 How Liverpool opened the scoring through Gini Wijnaldum at Anfield. It looked at first as though he may look to pass inside. That would have been the easy option, the safe option. But when the stakes are high sometimes it takes a little courage to get things done and so it was that Wiljnaldum placed his faith in his own technique and tore a rising shot up beyond Brad Guzan in the Middlesbrough goal. It was a magical moment, a moment that a stadium felt fear lift from its shoulders. It didn’t win the game on its own but it changed the game. 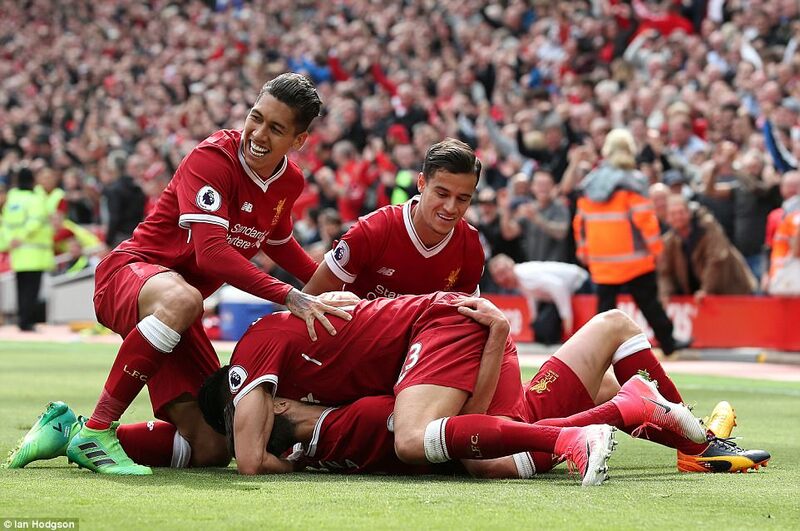 It gave Liverpool the confidence and, more importantly, the space to take Middlesbrough apart in the second half. 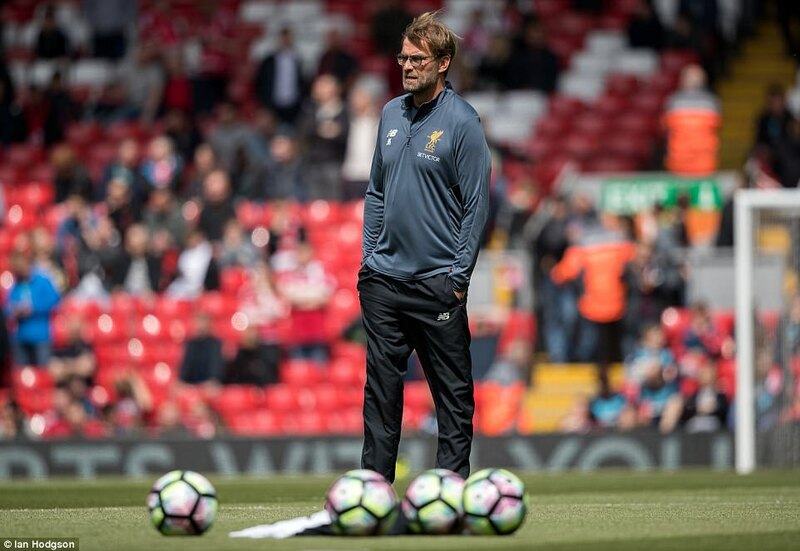 Liverpool scored two more goals but could have scored a few more as they finally grabbed the fourth placed Premier League finish that was the minimum requirement at the start of Klopp’s first full season. A place in the Champions League changes everything for this club. 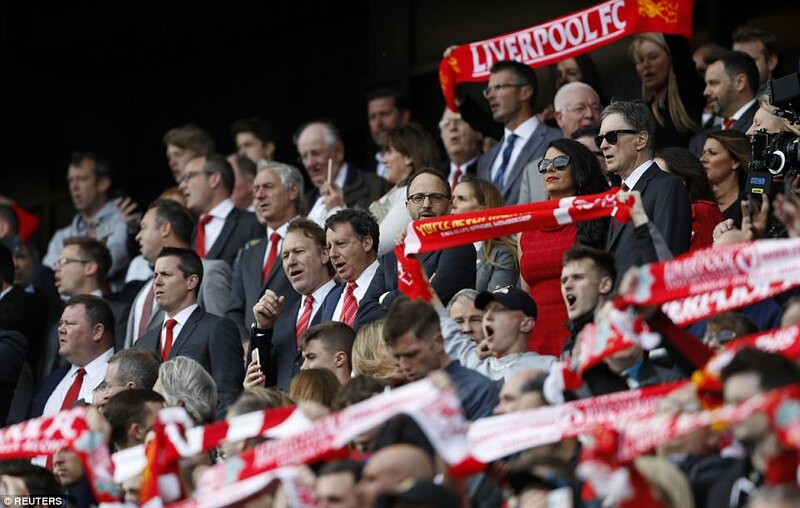 Liverpool still have a qualifier to negotiate but the prospect of a place in European football’s Blue Riband competition will help them buy players and indeed keep players. 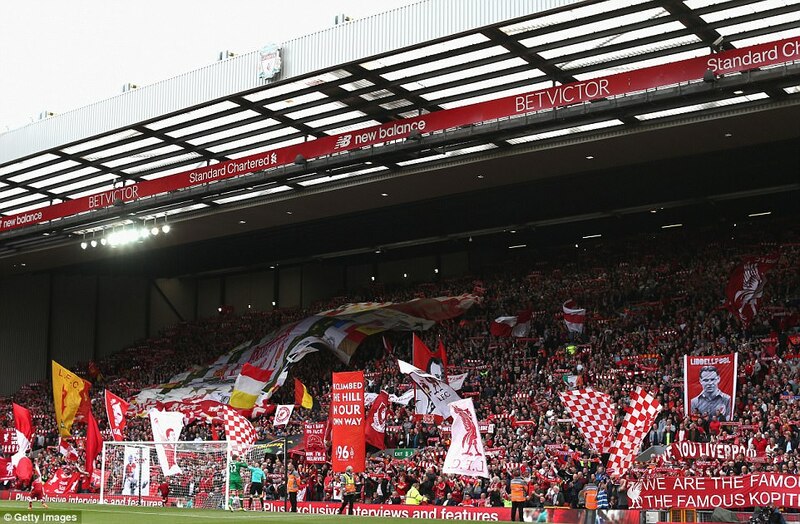 It makes Liverpool more attractive and it lends them a bit of financial clout, too. 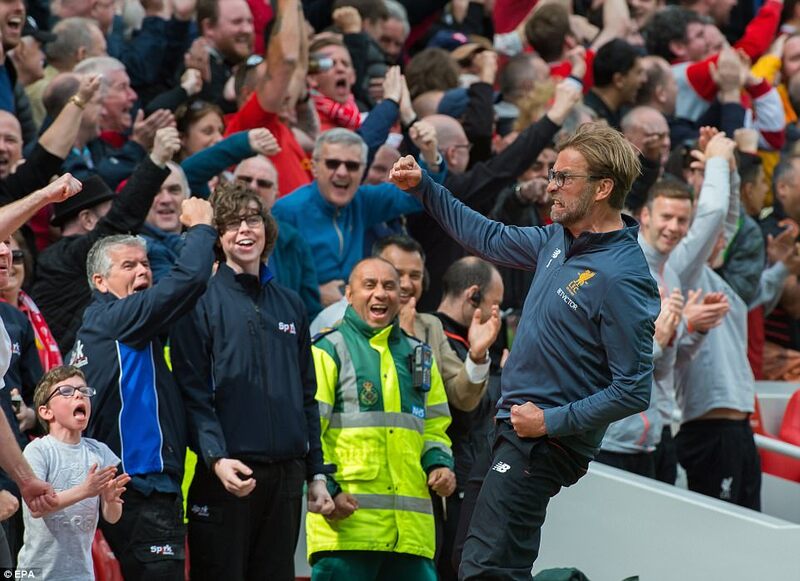 So this was a very big win for Liverpool on a day when the prospect of failure must have stalked them. Before the game James Milner said his team-mates were relaxed and confident. 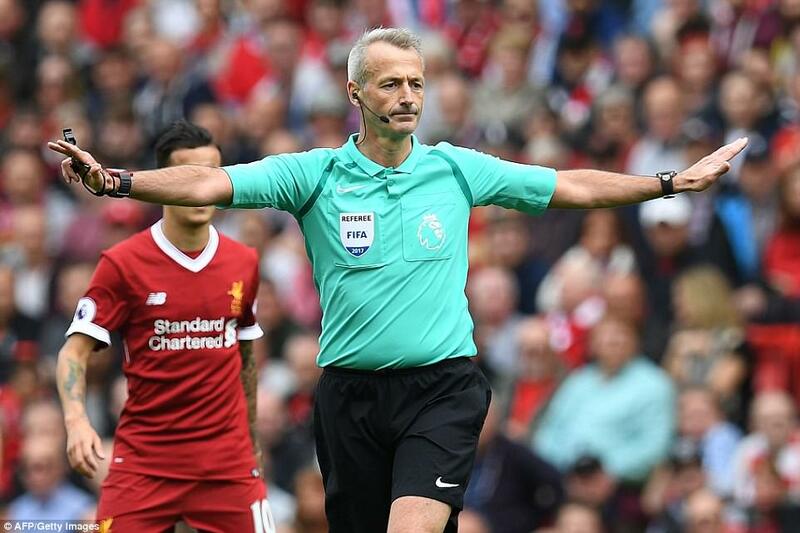 But before Wijanldum’s goal, they didn’t look it and it must be said that they benefited from a huge call by referee Martin Atkinson midway through a first half in which they found fluency and potency hard to come by. 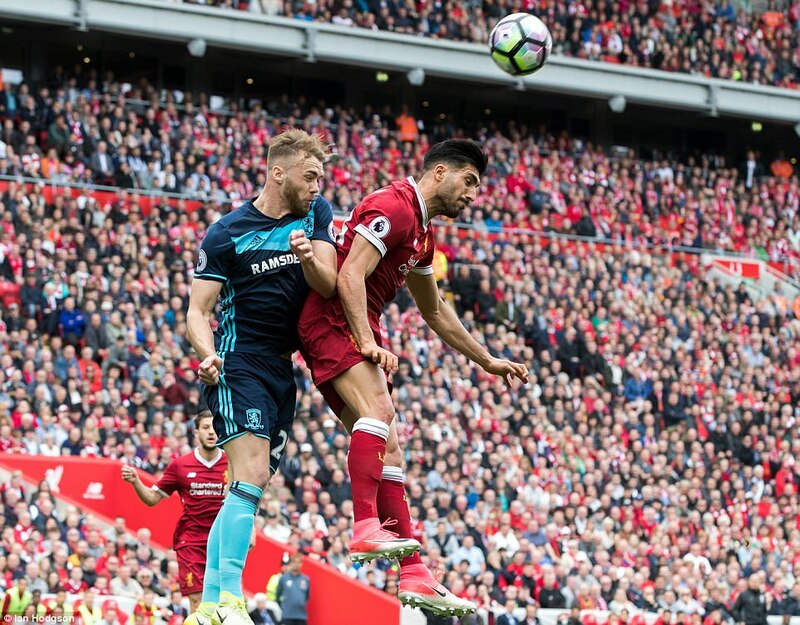 Liverpool had enjoyed almost all the possession but Middlesbrough’s blanket defence was holding them at arm’s length. 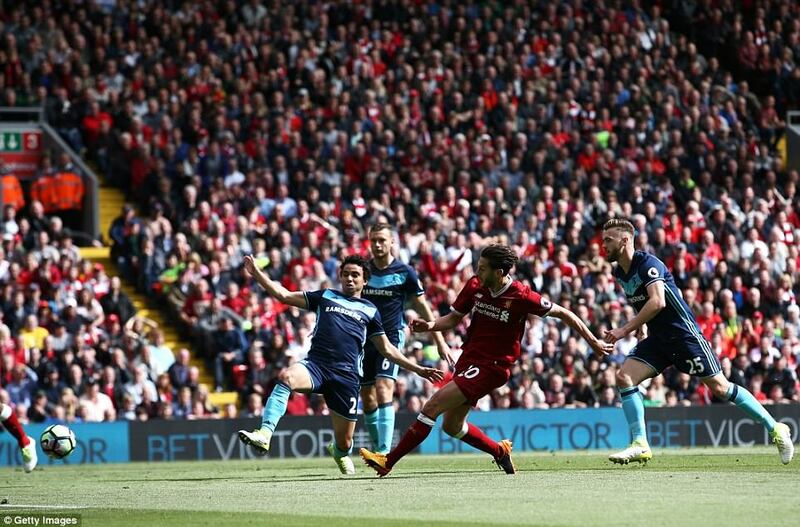 And when a rare break by the visitors in the 24th minute suddenly found Patrick Bamford in a yard of space behind Dejan Lovren the whole game hung in the balance. 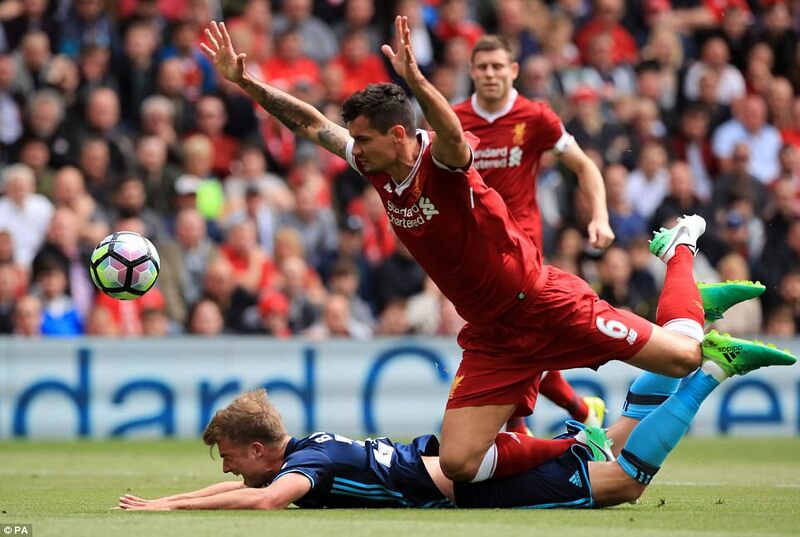 Lovren definitely clipped Bamford’s ankles, causing the Middlesbrough forward to crash to earth. It looked like a foul at the time and replays only hardened that view. Had Atkinson given the penalty then he would have had little choice but to send Lovren off, too. 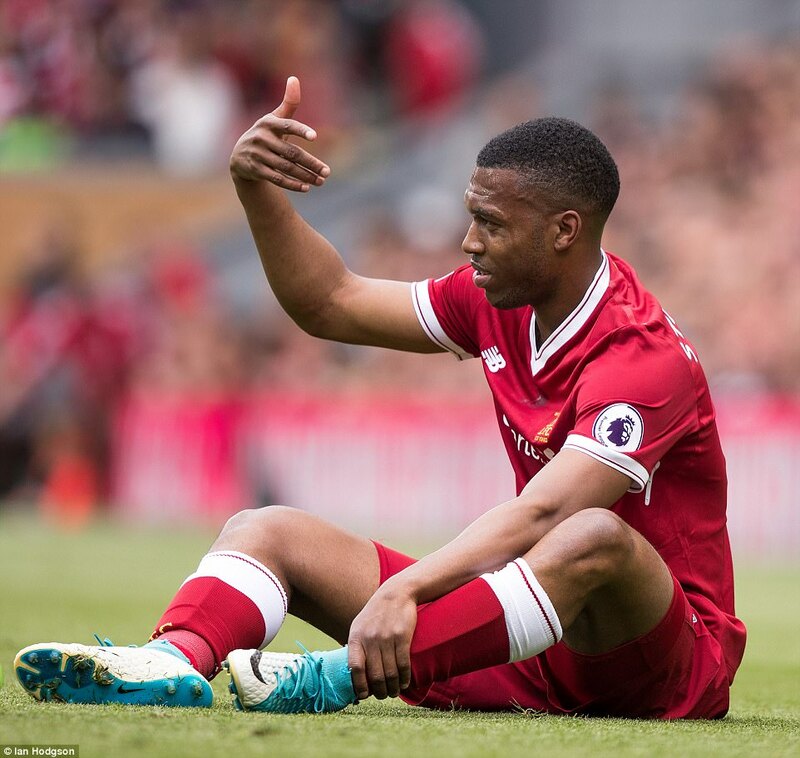 But it appeared the referee may have had his view impaired by retreating Liverpool defender Joel Matip so he waved play on, judging the incident to have been what they like to call ‘a coming together’. 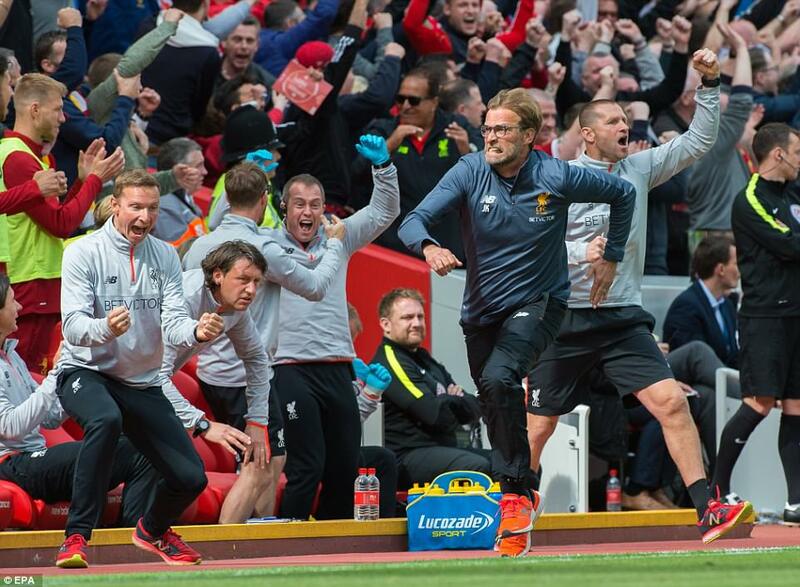 On a day when Liverpool were always going to need the odd moment of fortune, this was perhaps the biggest one of all. Later on, the second half passed by like a procession. Once they were behind, Middlesbrough were effectively spent. 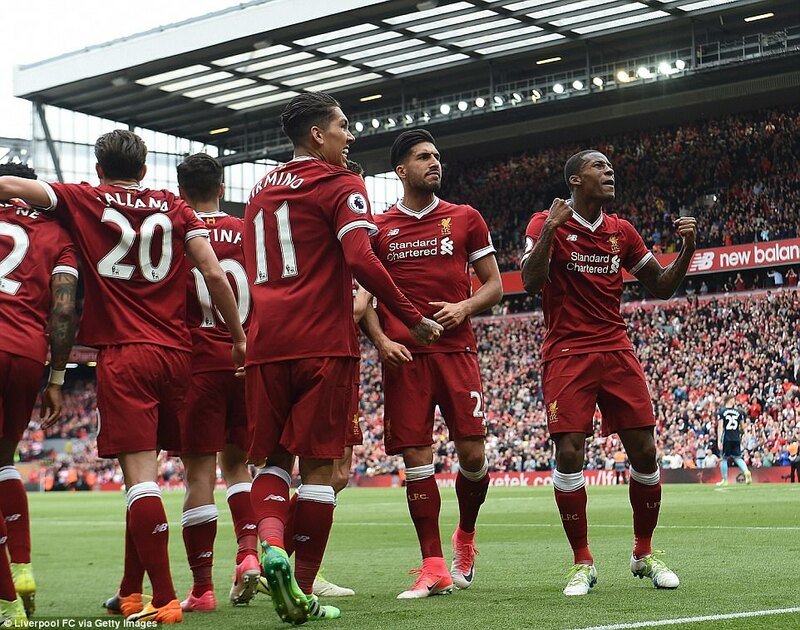 It seemed as though they had to come to Liverpool with just one game plan and once that was gone they seemed short of an alternative. 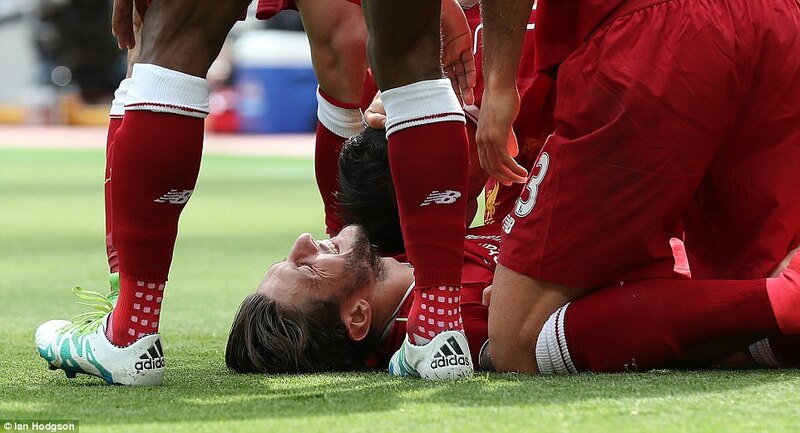 Liverpool took them apart after the break. 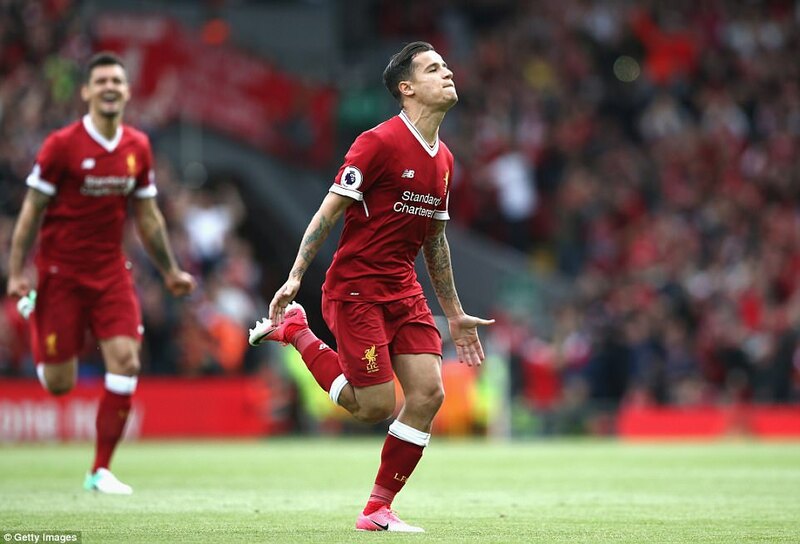 They played the kind of fluent, intelligent football that bewitched us in the opening half of the season and all of a sudden chances began to arrive like trains rolling in to a station. 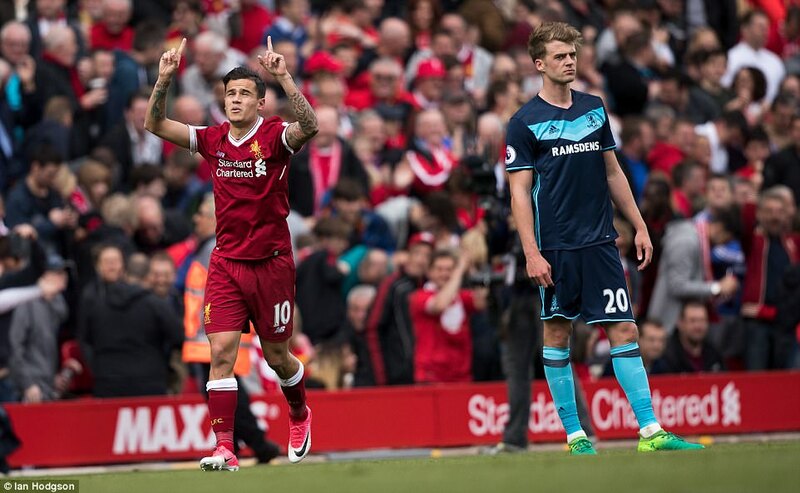 Phillipe Coutinho scored goal number two with a free-kick that Guzan may have saved in the 50th minute and then, six minutes later, Adam Lallana finished off a move that typified everything that is good about this team. 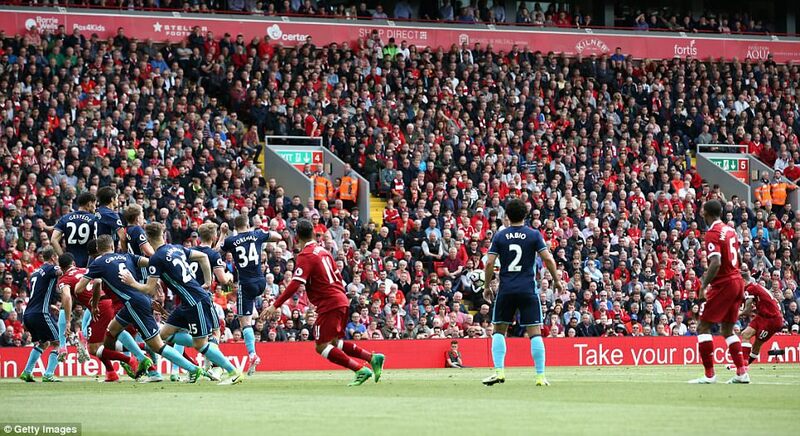 A quick break following a Middlesbrough corner seemed to break down when Fabio intercepted Lallana’s cross. 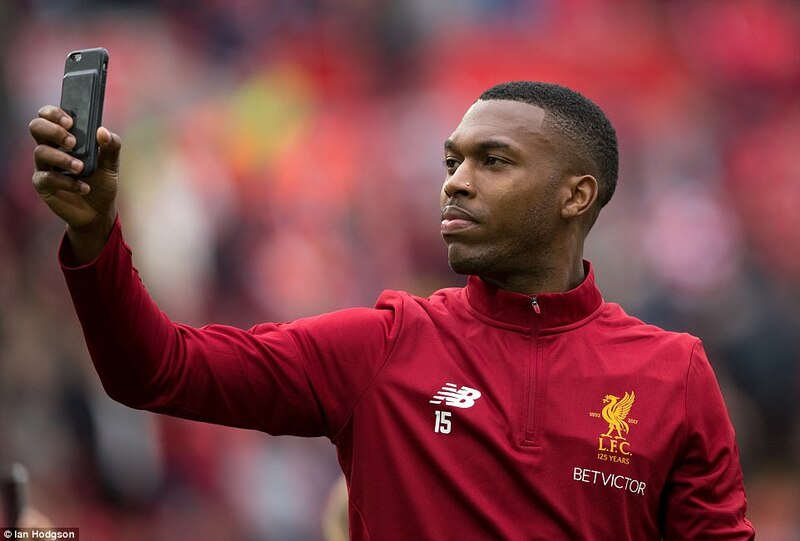 But the England international was alert enough to win the loose ball and when it was headed back towards Daniel Sturridge by Wilnaldum, the striker let it run across his body for Lallana to close in and score from 12 yards. It was a goal created by energy, purpose, desire and selflessness. 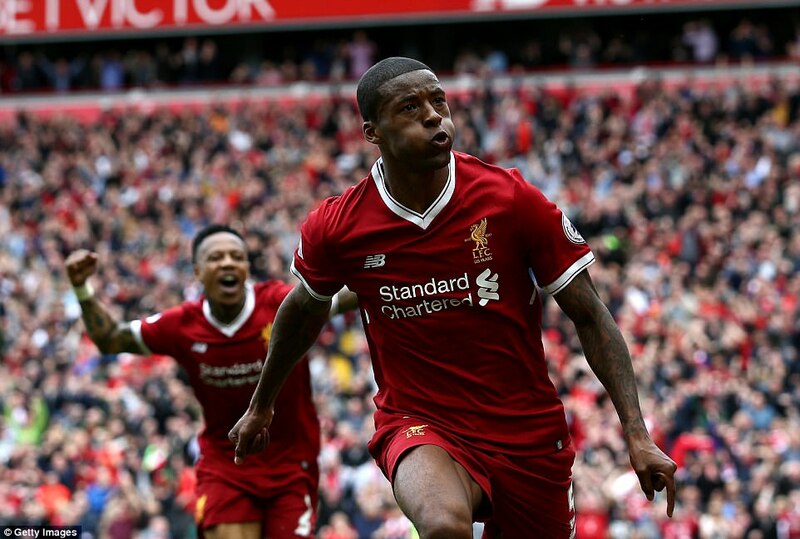 There was more of that to come, too, as Liverpool enjoyed the freedom of a final half an hour played without any of the pressure that had inhibited them so much prior to Wijnaldum’s goal. There were no more goals but it didn’t matter. 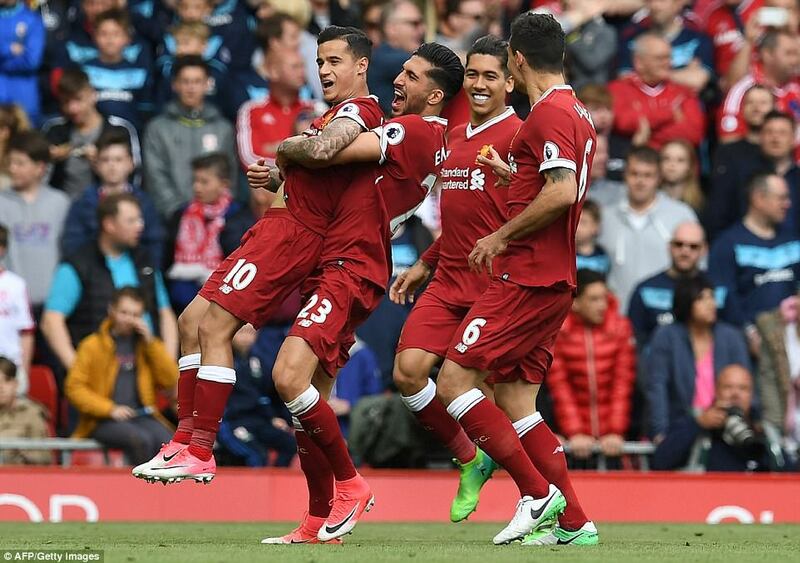 Since the scoreless draw with Southampton that looked so damaging two weeks ago, Liverpool have scored seven without reply. As such, they are in the Champions League on merit.